Home / Time Travel / 2017 World Series Mystery – Is Time Travel Involved? That book tells the future. It tells the results of every major sports event until the end of the century – football, baseball, horse races, boxing. The information in there is worth millions. And maybe, just maybe, it actually exists. I don’t really follow sports, to be honest. I got this tip on Twitter, and it’s a pretty interesting case that has the gambling community scratching their heads. You see, there’s this mysterious Eastern European gambler out there who bet on and won six of the seven 2017 World Series games, raking in a total of $14 million. There were questions earlier tonight about whether or not he’d risk it all on Game 7, but he didn’t. Even so, the odds of winning the way he did are leaving a lot of unanswered questions. No one knows who the bettor is, except for a few minor details. He’s also known to have placed bets on UFC fights. And he won all of those, too. If I didn’t know any better, I’d say he skipped betting on Game 7 because he was drawing too much attention. But that still leaves everyone to wonder: How did he do so well with odds everyone considered bad? Terrible, even? That’s where the Grays Sports Almanac comes in. I mean, maybe. Could this guy be a time traveler? Was he letting his bets ride, knowing the outcome of every move, only to stop once people began asking questions? It’d explain the anonymity, I guess. Maybe he’s from the future. Some, on the other hand, believe our lucky bettor is actually part of a larger group, perhaps something corporate, attempting to manipulate odds. Others that he doesn’t even exist – it’s all just an “urban legend.” A made-up story. I suppose that could be right. In fact, there’s an old “time travel” case that comes to mind, here. According to Wikipedia, in 2003, a man named Andrew Carlssin was allegedly arrested for SEC violations after “making 126 high-risk stock trades and being successful on every one.” He’d started with $800 and blew that up to $350,000,000. After he was brought in, he confessed to being a time traveler from around the year 2200. He’d ventured to our time aboard some kind of “time craft,” thinking to make a quick buck. As it turned out (or so the story goes), his unbelievable tale actually began in a satirical newspaper, and propagated from there. That’s how urban legends are born, sometimes. So, our gambler could be part of some corporate shenanigans, or a modern urban legend. He could just be really lucky. Or he could be a time traveler. Previous PostPrevious Scientists Wonder: Should the Universe Even Exist? I had a strange experience about ten years ago. I saw and my dog companion saw a woman leading her dog on a leash. The woman approached us on a sidewalk which bordered a busy street on one side and a grassy park-like area on the other. Broad daylight, now. The woman was dressed in 1940s clothes with a brown tweed hat that looked vaguely like the American ‘soup bowl’ helmets of WW 1. My dog wanted a meet and greet with the woman’s dog. Suddenly a large bee landed on my shoulder. I’m allergic to bee stings so I glanced down and brushed it away. In that split second the woman and dog vanished into thin air because there was nowhere for concealment on a busy street. Not a day goes by when do not think about the time traveler I saw. Last Sunday, November 5, in the early morning I glanced at my computer’s clock and suddenly it was an hour earlier. Did I “fall” back in time? I may never know. Just remember, your future self is watching you right now through his memories. 1. The bettor was very lucky. 2. The bettor has a secret method of baseball analysis, and bets accordingly. Baseball is game with a lot of statistics. The statistical analysis of baseball even has a name–called sabermetrics. 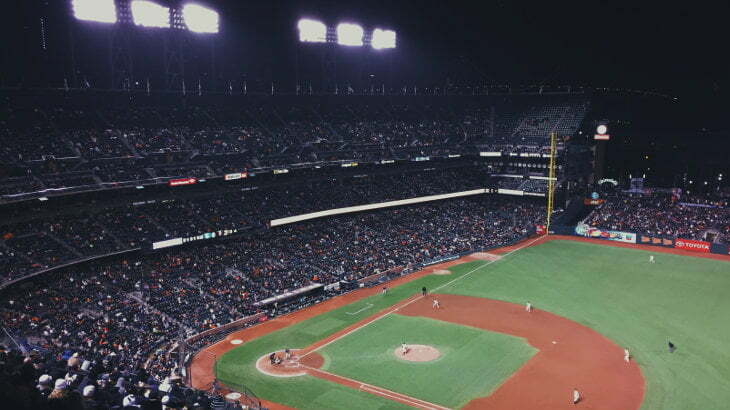 Off the top of my head, there are a couple of factors that the bettor can take into consideration: who has the home field advantage, how a team does against right-handed pitchers versus left handed pitchers, how a team performed paying against teams from the other league, etc. Explanation #2, if true, is tantalizing to me. Supposedly this bettor did quite well betting on boxing matches too. Again, secret method. This Gambler is not a TT; The Temporal Tourism Board has a complete compliance program–all time travelers must disguise themselves as homeless people, to ensure being ignored. I just read an article that a “mystery bettor” has placed multi-million dollar bets on the Eagles to win the Super Bowl. A casino spokesman refused to name him, but confirmed that he is the same person who placed the World Series bets. Oh, that’s interesting. I might have to write a followup. definitely proof of time travelor. remember, there is a reason why casinos have limits to the amount someone can bet. they know they can be beaten in sports but there is no limits on their other table games. all it takes is that small infinitesimal probability of a time travelor coming in from the future and betting $100 million dollars on one game and cleaning out the house. since super bowls and world series games have higher limits you can only imagine that this better wanted to be even more that what he did.